The worst kept secret in the AFT Paddock during the latter stages of 2018 is now totally out in the open – and 100% true. 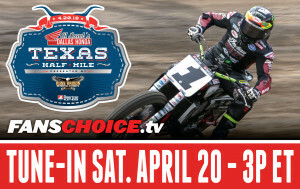 Once again, just as in 2016 when they teamed up to win the AFT Twins championship, ‘Flyin’ Bryan Smith and Ricky Howerton have joined Bo LeMastus and Team Crosley for another shot at the title, again on Kawasaki-powered machinery. Of course, if you know anything about Howerton or his history, you know this won’t be just any Kaw-powered Twins racer – just as the machine the team ran in 2016 wasn’t like anything else in the paddock. That bike was both small and light (like Smith), with a frame comprised of small-diameter chrome-moly tubes surrounding an 8-valve vertical twin pumping out just the right amount of tractable horsepower. With all of this surrounded by sleek-but-minimalist bodywork, the entire package conveyed a trickness factor that went all the way to eleven. It was by far the most radical motorcycle on the grid that year. Bryan Smith at speed on the Crosley/Howerton Kawasaki at Springfield in May, 2016. 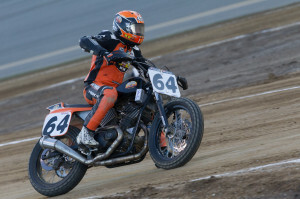 He won, just nipping XR750-mounted Jared Mees and Brad Baker. It’s sure to be in 2019, too, at least according to Howerton, the Indianapolis-based mad scientist/engineer who grew up at AMA National dirt track races watching Team Honda’s Bubba Shobert and Ricky Graham do their dirt track thing against the XR750 Harleys in the 1980s. “Our new bikes won’t really share anything with the 2016 machines,” said Howerton recently. “I’d characterize them as a mix of our 2013/’15/’16 designs, with some brand-new elements added. Here's that dramatic finish at Springfield, 2016, with Smith just ahead of Mees (hidden) and Baker. That team is basically the same as it was in 2016, with Howerton as head honcho, Ron ‘Dink’ Glidden and Jeff Gordon as techs, Smith in the saddle and LeMastus as team owner and primary financier. “It means a lot to have these same guys on the team,” Howerton told AFT. “They are smart, have amazing experience, and work their tails off. You can’t ask for better guys. LeMastus is the President and CEO of Crosley Radio, a retro-hip vintage electronics firm (turntables, radios, jukeboxes, etc.) with deep roots in analog – but one that also embraces the latest tech. He’s also an accomplished NASCAR and ARCA race car driver and team owner. 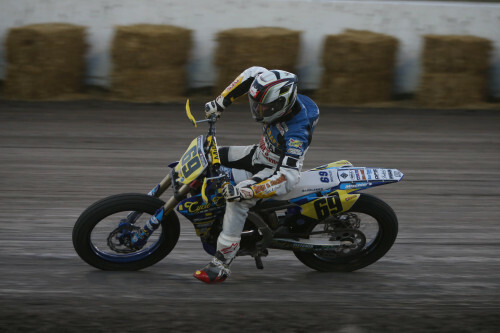 The Springfield win was the third of Smith's four victories during the 2016 season, and set the stage for his dramatic runner-up finish against Jared Mees at the Santa Rosa Mile, where a last-corner outside-inside move put him just ahead of Mees - giving him the 2016 title by just five points. Testing is about to get underway on the new bikes, which you’ll be able to see in the flesh at Daytona in March of 2019 – a little more than five months from now. It’s definitely going to be good! 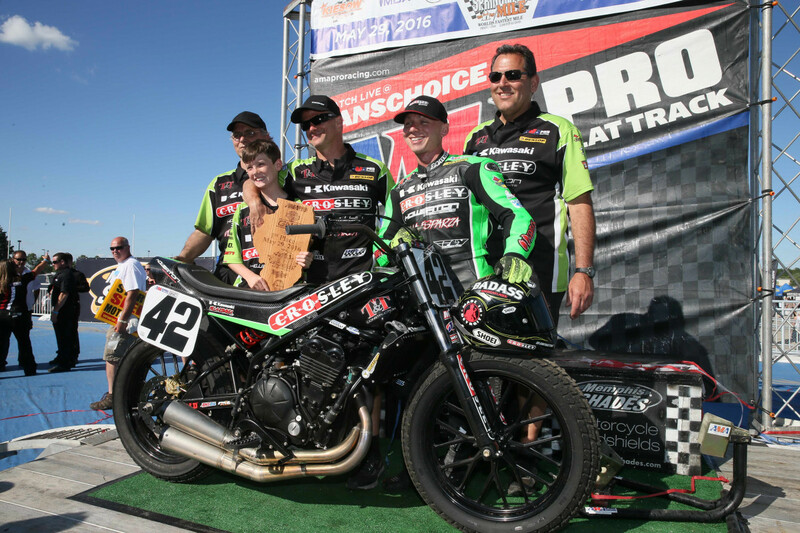 The 2016 Crosley/Howerton Kawasaki is a beautifully designed piece. Howerton says the team's 2019 machines will be even tricker - which may have some AFT Twins riders wondering what exactly that means.